Summer Hair Care: Water Is Your Friend! - Hairlicious Inc.
Summer Hair Care: Water Is Your Friend! on a consistent basis was foreign to me. I was more of a juice/pop kind of girl. I love when my beverages have flavor and I never agreed to the eight glasses a day rule. However, my hair was dehydrated, dry, and brittle. Something had to be done. After purchasing my 2.5 liter water bottle at my local superstore one day, I made a commitment to increase my water intake. I set a goal of drinking 2.5 liters of water a day to ensure I was hydrating my body and hair from the inside out. A few weeks later my scalp was no longer flaky, dry or itchy and my shedding decreased. My new growth was growing in quickly and it felt much more hydrated than ever before. Best of all, my skin also thanked me. Just like a plant, our hair and bodies need water to be healthy and strong. 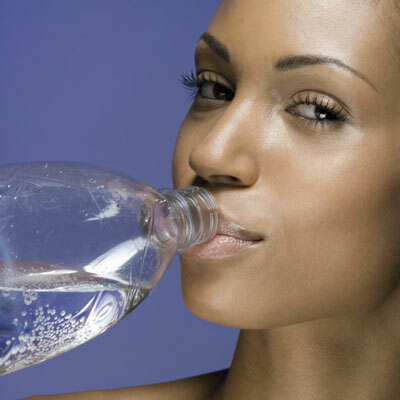 Drinking water aids in digestion, transportation and circulation of nutrients from the food and vitamins we eat, which encourages a healthy scalp and hair follicles. I must admit, staying on top of my water intake regimen isn’t the easiest thing. Many times I forget to bring my water bottle with me when I’m out and about. And occasionally, I revert back to my old ways. But, I’m human—I just try harder the next day. But, after experiencing the positives from consistently drinking water, I’ll never go back! This is so important thanks for the reminder and God bless! Is there any good tips for protecting hair from sun damage? Besides hats? I'm extremely impressed with your writing skills and also with the layout on your blog. Is this a paid theme or did you customize it yourself? Either way keep up the nice quality writing, it's rare to see a nice blog like this one these days..